The United Nations estimates that there are more than 3 million shipwrecks on the ocean floor. But, also, shipwrecks can be found on deserted beaches, on coral reefs in the middle of the ocean, at restricted diamond areas, uninhabited islands or other remote and uncivilized places. 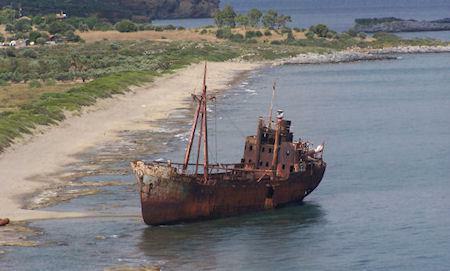 Therefore, this is a list dedicated to picturesque shipwrecks which are still visible on beaches around the world.